Outrigger Koh Samui Beach Resort offers the perfect location for a memorable honeymoon, romantic escape or family holiday to Thailand. This five star luxury Koh Samui accommodation boats spacious suites and villas all with private pool plus access to top class facilities including a day spa, restaurants and bars, swimming pools, WiFi Internet and much more. This is an advance purchase rate and must be booked at least 120 days prior to check-in. Koh Samui Reduced Rate: 15% OFF + Bonus Massage! 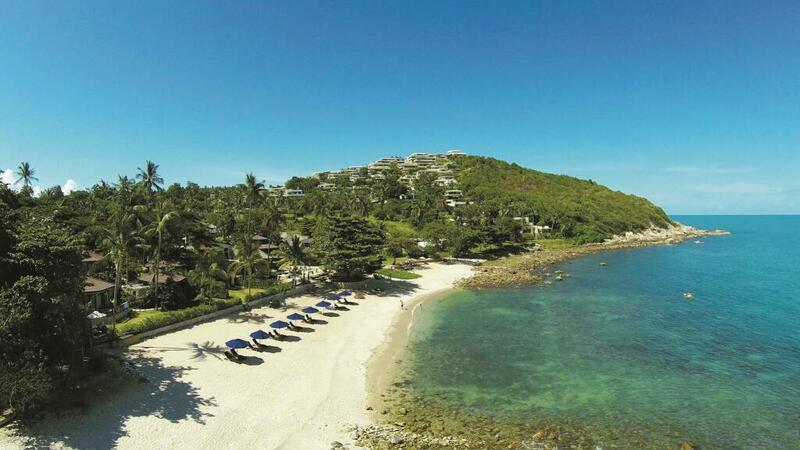 This five star luxury Koh Samui accommodation overlooks Hanuman Bay and boasts access to a 300 metre white sandy beach. Outrigger Koh Samui Beach Resort offers the perfect location for a romantic honeymoon or relaxing couples escape. choose from 52 suites and villas all boasting a private swimming pool, a great place to cool off after spending time in the sun. While staying at Outrigger Koh Samui Beach Resort guests have access to amazing on site facilities including restaurants and bars, day spa, free WiFi Internet, resort swimming pool and a selection of daily activities. This is an advance purchase rate that must be booked more than 90 days prior to arrival.